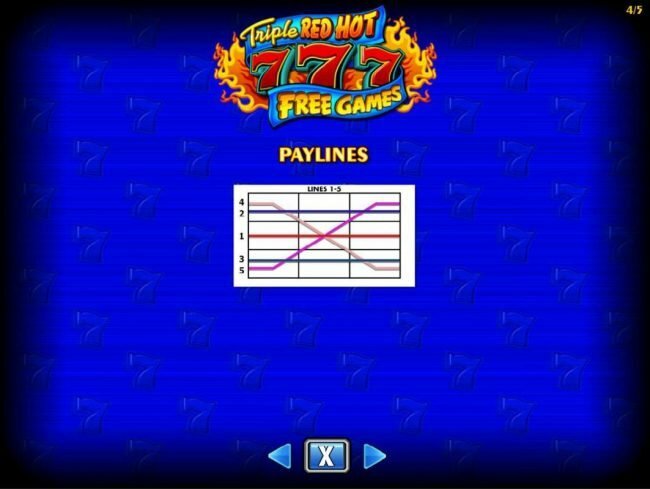 Review of Triple Red Hot 7s slot produced by IGT software with 5 lines and 3 reels. 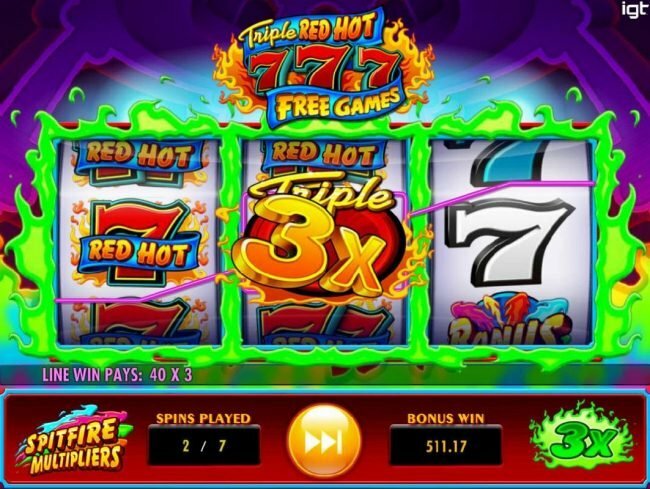 Triple Red Hot 7s Slots has not been reviewed yet, be the first to rate this slot. 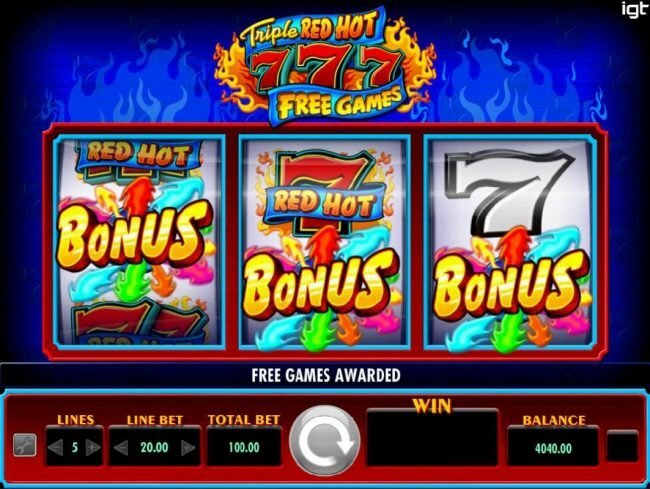 Triple Red Hot 7’s is a 3 reel, 5 payline video slot from IGT that has players experience the classic era of Online Gambling in high definition format. 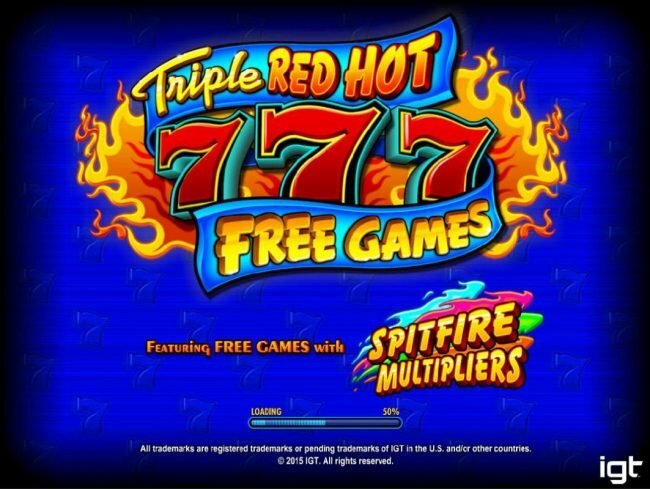 This classically crafted slot does have Bonus multipliers, wilds, and free games. The final prize of this game is winning the $250,000.00 jackpot. 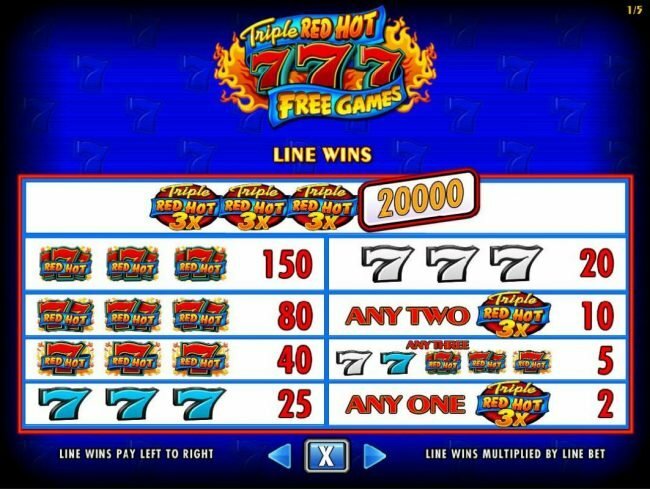 This Slots visual premise isn’t that of a video slot classically crafted games didn’t come with detailed themes that told a relevant story. 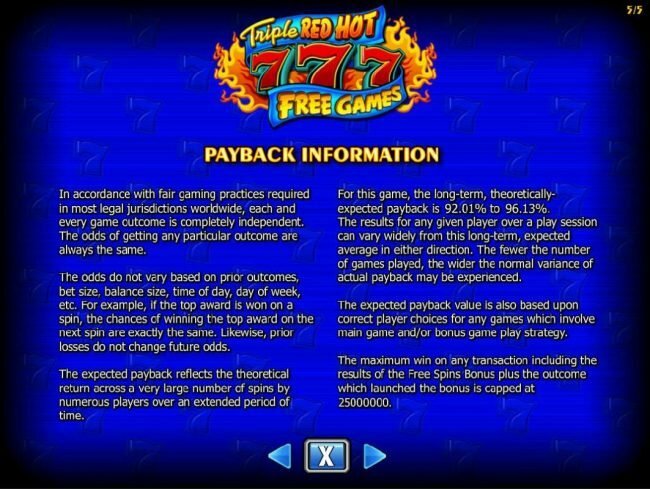 Instead, the developers focus on the gameplay which is exactly what happens with Triple Red Hot 7’s. 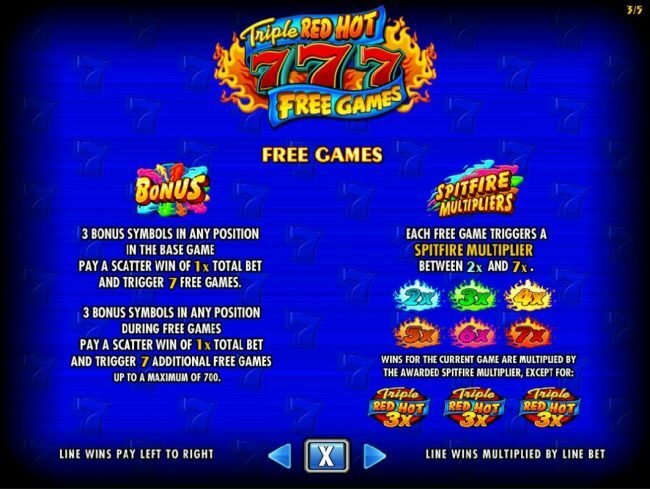 There are only blue flames to be seen in the background, but there are blue sevens, white sevens, two different iterations of the games logo and a bonus rainbow for slot symbols. These icons help lead towards high payouts & triggerable game features. There isn’t much required out of the punter in order to play this game. They only have to determine how many paylines will be apparent during the next spin, and then they must decide the value of their line bets. This game has line bets start at $5.00 and end at $1,000.00. This means if all five lines were to be active with the highest bet then $5,000.00 would be wagered. The Triple Red Hot 3x icon is the wild. 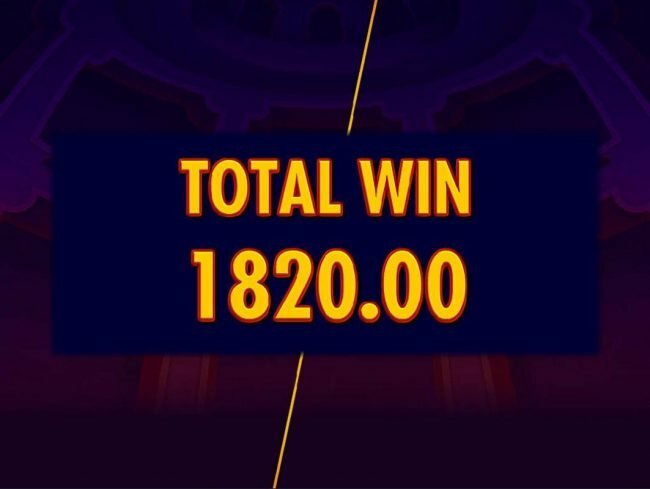 This symbol when seen on a winning line substitutes all standard icons so that payouts can be won and will be multiplied be three. If two of the same symbols are seen, then a 9x multiplier will be active on the payout. The bonus rainbow symbol leads to the Free Spins mode. 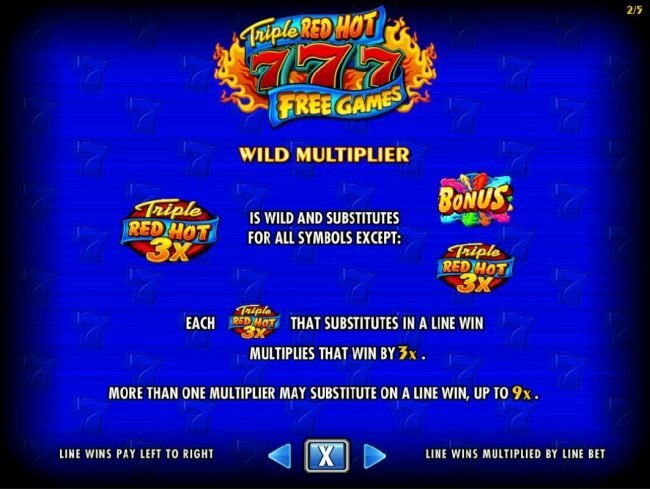 Punters must have three of these symbols displayed in order for several free games to be won, each of those free games will be accompanied by a 1x multiplier. 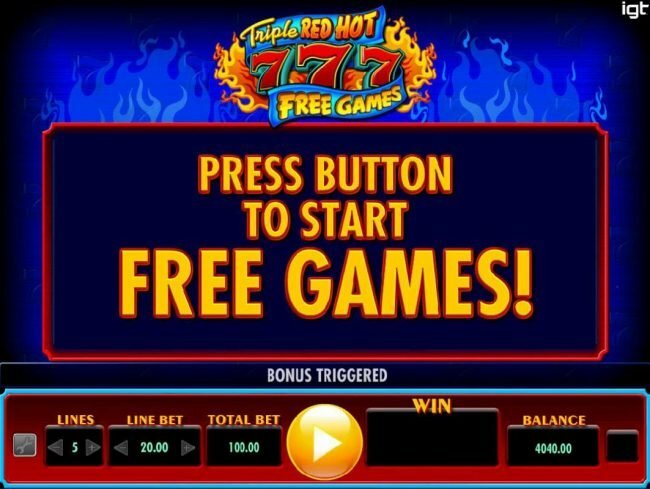 This feature can be reloaded up to 700 free games. 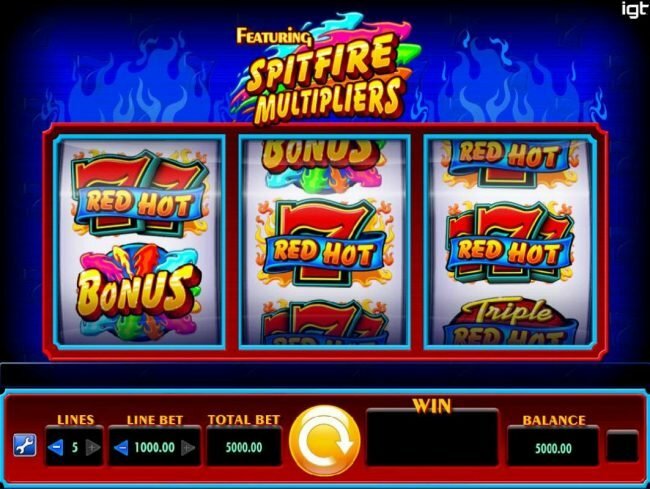 Multipliers can increase thanks to the “Spitfire Multipliers” feature which has a 2x to 7x multiplier revealed with each Free Spin. 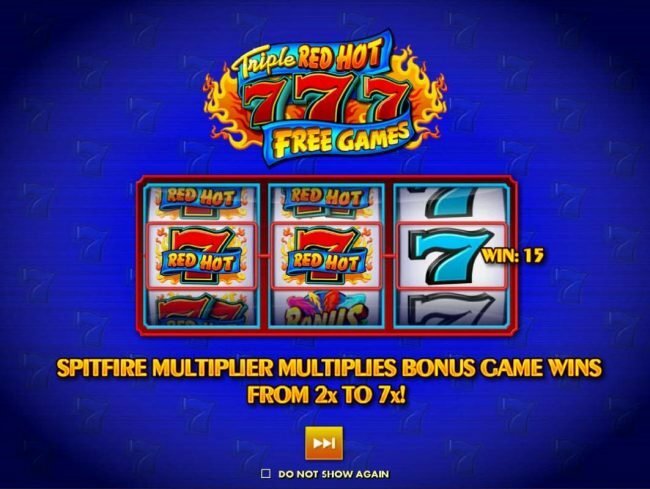 Triple Red Hot 7’s, for a classically crafted slot it has everything that a video slot has to offer. 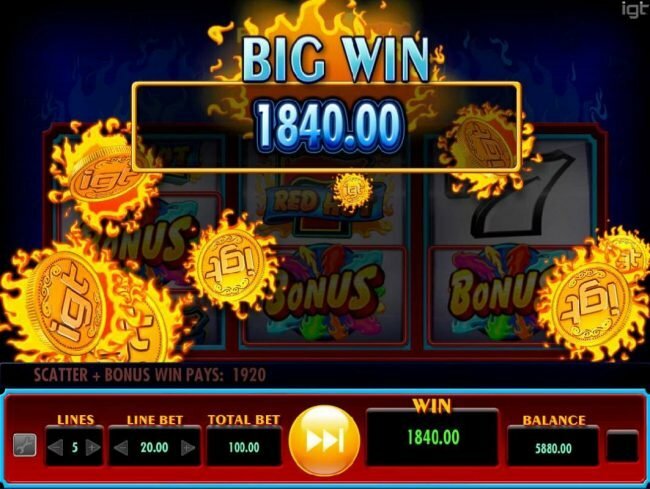 There are game features available to be won, high payouts and an enjoyable design that brings punters deeper into the experience. Few classic slots can compete with a video slot, but this IGT based Slot does.